Samsung Electronics is introducing a new ‘QLED TV’ in order to target U.S. and European markets. This product has a competitive price as it excludes any other added elements such as design and focuses on quality, which is the strength of QLED TV. Samsung Electronics is releasing this product to compete against 50-inch OLED TV, which is rising in shares amongst global premium TV markets, and is expected to have fierce competitions with other TV manufacturers as they face a busy season at the end of this year. 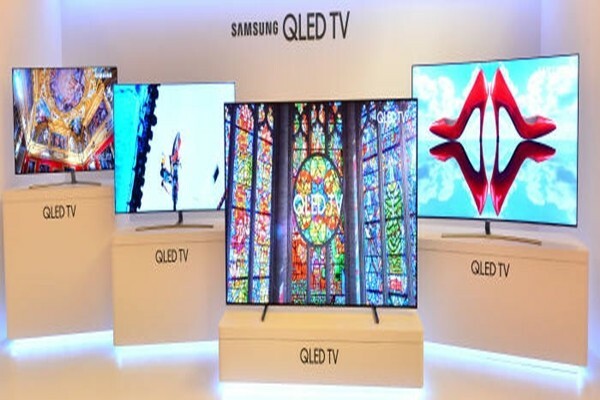 According to Samsung Electronics on the 21st, it is going to launch new QLED TV lineup called ‘Q6’ in U.S. and European markets during fourth quarter of this year. Current Samsung’s QLED TV lineup is composed of Q9, Q8, and Q7. Higher number indicates a higher model. When Q6 is released, there will be total of four products in the QLED TV lineup as a lower lineup is added. For the first time, difference in price between models will be between $618 and $883 (700,000 KRW and 1 million KRW) based on store price. However Samsung Electronics is planning to increase competitive price for Q6 by having its store price significantly lower than Q7. Considering conditions of competitions in global TV markets, Q6 means more than just an addition of a new lineup. It represents an advance guard that will target 50-inch premium TV markets and expand premium markets towards 40-inch premium TVs. Market research company called IHS is estimating that market shares of 50-inch and 40-inch TVs in global TV markets this year will be 35.3% and 31.4% respectively and take first place and second place. This indicates that Q6 is a strategic product that targets markets with highest market shares. Another goal of Samsung Electronics is to compete against 55-inch OLED TV, which has been increasing its market shares recently, with Q6. Samsung Electronics focused on quality of Q6 and eliminated certain functions such as design and plans to reduce price of Q6 drastically. Its strategy is to confront high competitive price of OLED TV through reduced price. Samsung Electronics is going to introduce Q6 as 49-inch and 55-inch TVs. Its plan is to compete against 55-inch OLED TV with quality and competitive price and grab upper hands in markets for 49-inch TVs that do not have any OLED TVs yet. Samsung Electronics is going to introduce Q6 during fourth quarter of this year in U.S. and European markets. Its strategy is to enjoy increased demands by introducing its new product during fourth quarter when there are many huge shopping events such as Black Friday, Christmas, and boxing nights. It is yet unknown whether or not Samsung Electronics is going to introduce Q6 in South Korea.